Vologda butter is produced from cream subjected to a special heat treatment, which gives it an exquisite walnut flavor. What links the legendary creamy delight of Russia’s North with the ‘Apotheosis of War’? 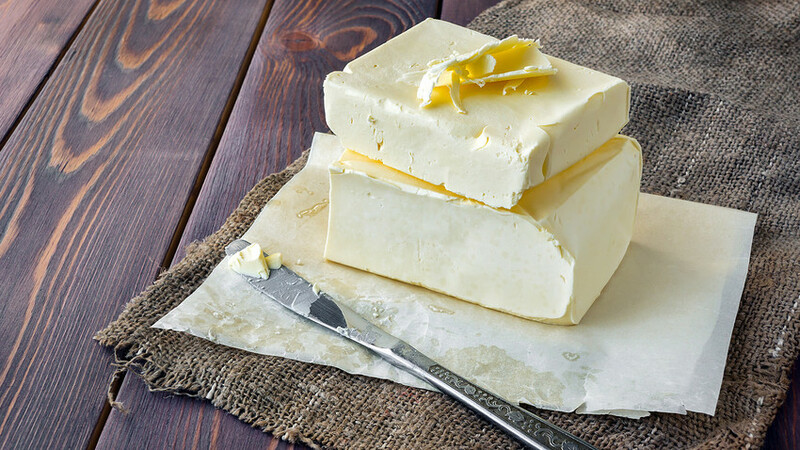 Vologda butter is one of the most famous Russian foods and a true symbol of the Vologda Region. You need to try it! Here are five facts about the delicious thing. Vologda butter was created by Nikolai Vereshchagin, the elder brother of famous Russian war artist Vasily Vereshchagin, who painted the Apotheosis of War (1871). He was also one of the most expensive artist: His painting The Pearl Mosque at Agra was sold at Christie's for $6.1 million in 2014. Born in the town of Cherepovets (then part of the Novgorod Region, now it belongs to the Vologda Region), Nikolai Vereshchagin founded the butter and cheese making industry in the Russian Empire and set up peasants’ butter-making artels, which were cooperative associations. In the 1860s, Vereshchagin studied dairy industries in Switzerland, Denmark, and Germany before establishing several plants in the Vologda, Novgorod, Yaroslavl, and Tula regions. Before this Russians preferred melted butter, so Nikolai’s business was a turning point for dairy production in Russia. In 1870 at the World Fair in Paris, young entrepreneur Vereshchagin spotted butter from Normandy and its clear nutty taste inspired him. 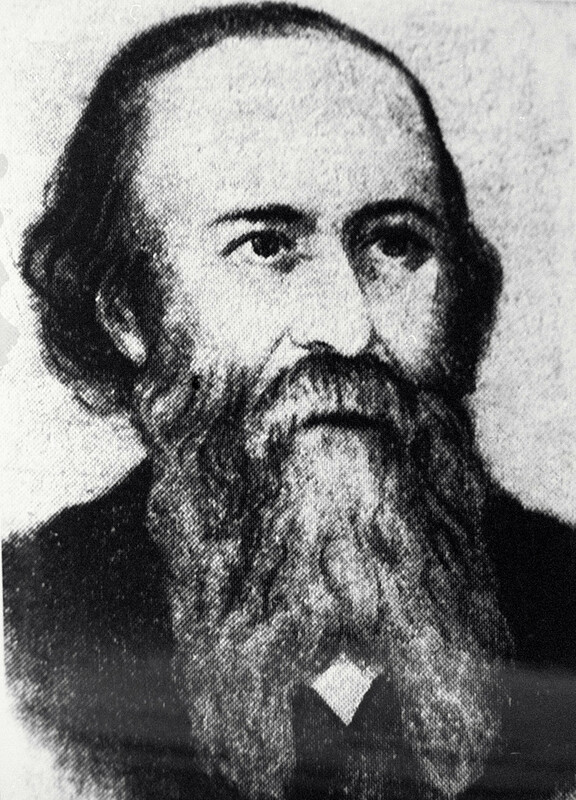 The next year he opened the first butter-making plant in the village of Molochnoe (“Dairy”), not far from Vologda. The milk for this butter only comes from local cows who are fed on Vologda motley grass. The name Vologda butter does not belong to a company, it belongs to the region. Since 2010, only butter produced in the Vologda Region can be called Vologda butter. Everything produced outside the region is considered fake. This is the only one food brand in Russia protected in this way. Also, the name only applies to butter - not margarine or any other spread. Russian consumer watchdog Roskachestvo said Vologda Butter is “quality and safe.” Their experts didn’t find any strange taste or smell in it and highlighted its “creamy” taste. The butter is smooth, doesn’t freeze in the refrigerator, becomes soft at room temperature and holds its shape. “Its taste is not bitter taste, it’s even a bit sweet,” said local resident Mikhail Krasnogorsky. The butter is made from milk or cream, and sometimes some salt. There are two varieties: “Slivochnoe” (“Creamy”) with a fat content of 82 percent and “Krestyanskoye” (“Peasant”) - fat content 72.5 percent. Because of its natural ingredients it only keeps for 30 days. After this it loses its nutty taste. 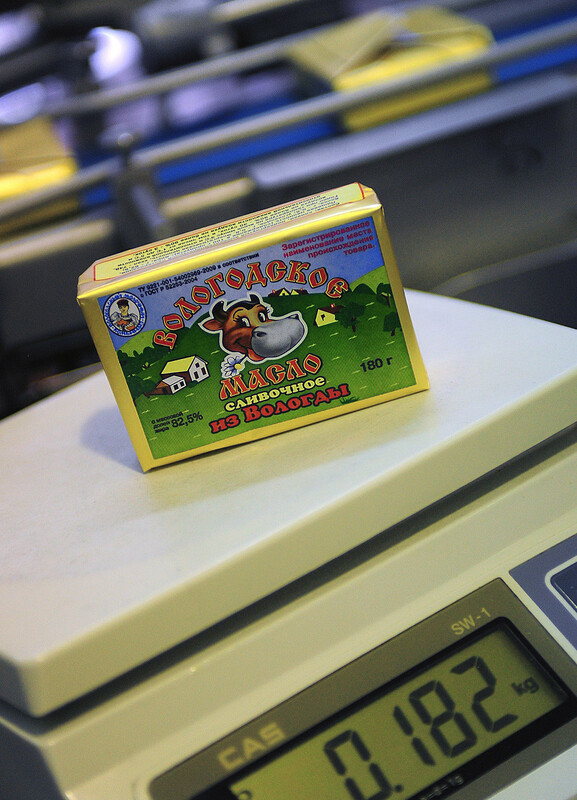 The Vologda butter produced at the local plant. Before large brands came to Vologda, the local butter was almost the only spread one could buy in the shops. Today, despite that fact there are several more brands, Vologda butter is still incredibly popular in Russia. Local plants also produce ice creams and chocolate butter based from Vologda butter that’s especially liked by children - it’s also a great option for breakfast!